About 10-15 families were involved at the start and they arranged to have someone come and talk about wind turbines and leasing, long before the government had introduced the Green Energy Act or Feed-In Tariff program. The Elmes attended a couple of initial meetings and were interested enough that they wanted to learn more, so started doing their own research. That’s when the worries started creeping in. “I had a few red flags, immediately, come up. When you started looking into the industry and finding that some people were reporting complaints,” says Elmes. The couple decided to see some of the other projects that were in development at the time. 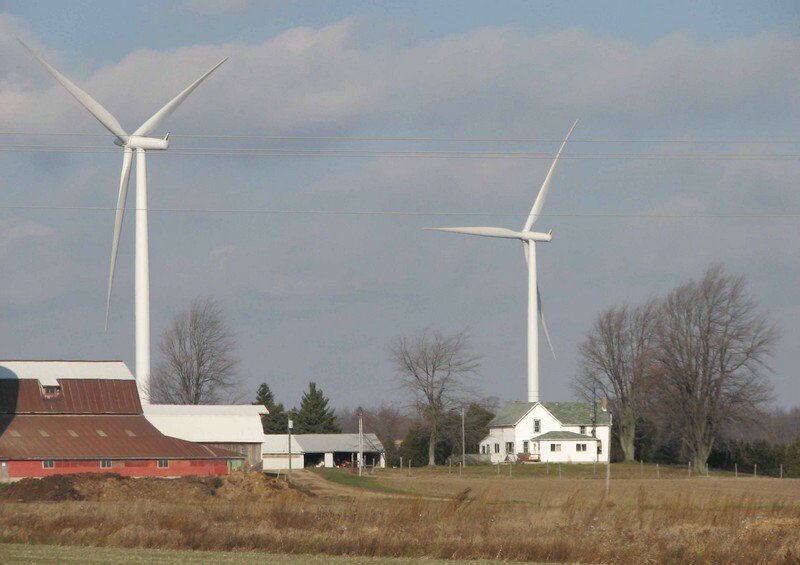 They visited the Melancthon wind facility, Ontario’s first utility-scale wind project (133 turbines producing 200 megawatts of power), which is located near Shelburne, southwest of Barrie, as well as Clear Creek, a small project southwest of Brantford. After talking to local people in those areas about their experiences, the Elmes expressed concerns to the group. They were especially worried about people who live near turbines but don’t own the land and, therefore, receive no compensation. That’s the last they heard from the group. In fact, overnight, the Elmes were shunned by their neighbours and turned into virtual pariahs in the community, a sting that still hurts Monica Elmes to this day. Not long afterwards, a company called Renewable Energy Systems (RES) announced a 100 megawatt project involving 44 2.3 MW turbines, which they were negotiating with their local municipality. Rumours began swirling that the government was going to be introducing some large-scale incentives programs and, for the time, the project dragged on. 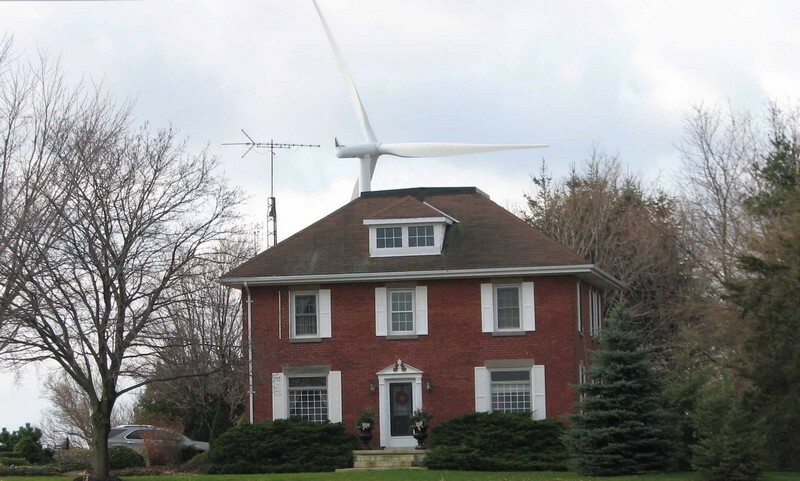 Once the Green Energy Act was introduced in 2009, however, things kicked into high gear. RES announced that majority ownership of the project was being sold to Enbridge Inc. of Alberta in November 2009. Because the project had already been announced, it managed to be grandfathered in under the GEA, avoiding a much more strenuous application process. By the spring of 2010, construction had already begun. By Elmes reckoning, it lasted about nine months, from early spring until late fall. Putting up turbines that tower up to 500 feet doesn’t happen overnight. “It starts early because they’re laying cable and doing the access roads, so the gravel trucks, all of that is huge,” says Elmes. Roads had to be widened. Trees needed to be cut down and other “big landscaping” done. Concrete had to be poured. All of that involved bulldozers and massive cranes and cement mixers and huge parts-carrying trucks. Despite the nearest tower being 1.5 km from their house, the noise was unbearable, especially during the summer. The company had applied for a noise exemption and, according to Elmes, “Basically, that bylaw allows them to make as much noise as they want, 24 hours a day, seven days a week.” The company would start early in the morning and work late into the night, using massive floodlights to add extra hours to the already long summer days. Sometimes, even that wasn’t enough: “If weather becomes an issue or deadlines become an issue, they’ll work around the clock,” says Elmes. The family was fortunate in one way, however. With many cell tower installations, it’s necessary to drive piles for the tower foundations. “It’s like a non-stop bang, bang, bang that is deep in the ground and carries a long way,” says Elmes. As well, it often causes issues with both well water and ground water. In addition to the noise, there was plenty of inconvenience for drivers, with frequent traffic tie-ups and blocked roads. With hundreds of trucks involved, the rural roads in such projects always take a beating. Elmes said people began to have well-water quality issues. The construction itself went pretty smoothly, notes Elmes. After all the long, annoying pre-construction work was done, she says it seemed like the towers themselves went up fairly quickly, practically one a day. By fall, the long, noisy, dirty disruptive construction work was completed. And there they sat – 44 idle turbines waiting to be turned on. Despite the fact that the nearest turbine is more than one km away from their house, they have a total of 27 within five km and they can see 17 just by looking out their windows. So much for their beautiful view and idyllic rural lifestyle. They were now part of a large-scale industrial complex. But the construction had stopped and, at least temporarily, quiet had returned to their community. Then, on December 16, 2010, the turbine blades started turning. And life for the Elmes suddenly got a whole lot worse. Posted on January 28, 2013, in Agriculture, Ethics, Hayter Walden Publications, Health, RES and tagged Enbridge, Health, noise, RES, wind turbines. Bookmark the permalink. 1 Comment.